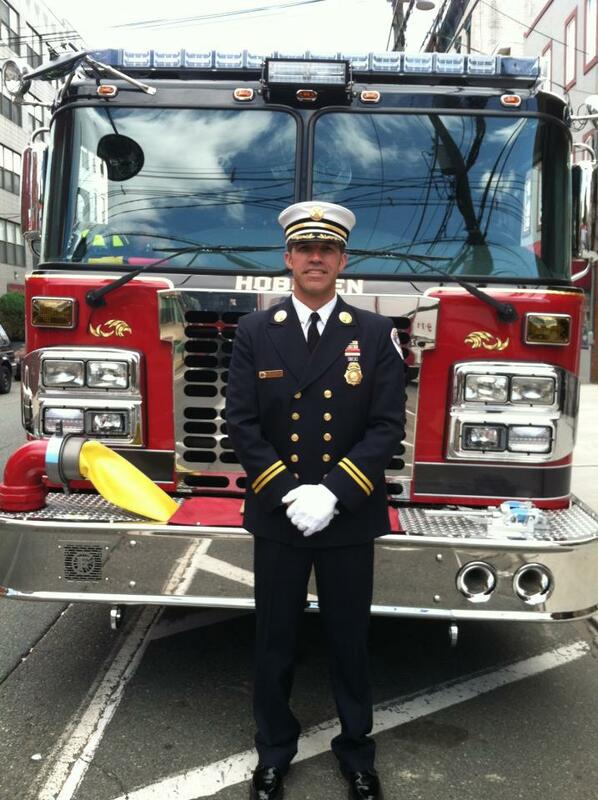 In this episode, we interview Battalion Chief Joe Turner, City of Hoboken Fire Dept. 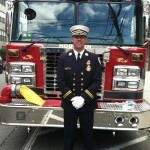 Battalion Chief Joe Turner , City Of Hoboken, NJ Fire Dept. 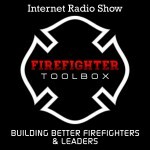 BC Turner shared what he feels it takes to be a great firefighter and leader. What role he played at 9/11and takes us back to that day. 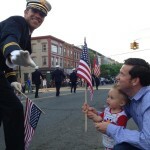 His experience from Hurricane Sandy that devastated his district and most of NJ and the tri state area. 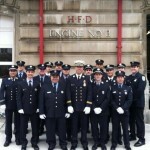 How the City of Hoboken FD lost a fire station due to the flooding and more. We also discussed what its like dealing with celebrities and sports figures that live in his 1st due and the best joke he is aware of. 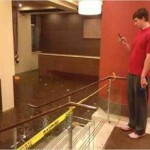 SuperBowl MVP, Giants QB, Eli Manning assessing damage from Hurricane Sandy. 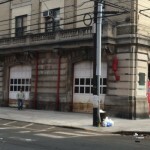 Fire Station in Hoboken, NJ that was flooded out during the hurricane. You can see the water line on the Station doors left from the flood. Great podcast. I love how everything is unscripted and spoken from the heart. 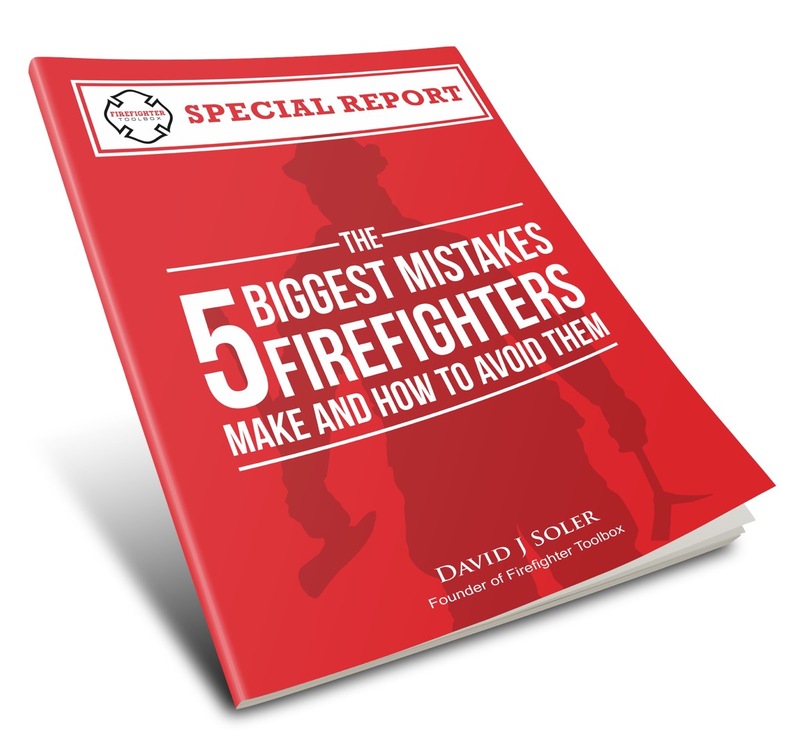 I had to stop the podcast when you were speaking about keeping the Fire Department and Family separate. I asked my wife to come into the office and listen with me. When I get home from a tour and my wife asks me how my tour was, I usually give a short “It was good”. She always seems like she wants more out of the converstaion by asking other questions or asking me to tell her what I did. I have tried to explain to her several time about keeping work and family separate, but she didn’t seem to get it. After we listened to your segment we talked about it, and it made a lot more sense to her why I don’t go into details. Thank you very much for that. Excellent information. As a fiction writer focused on the fire service the insight into the thought process during events such as 9/11 and Sandy is invaluable to me. 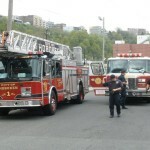 I appreciate the emphasis BC Turner places on character, leadership and training throughout the career of a firefighter. Quality leadership isn’t a gift bestowed upon you when you pass your test for Captain. It is a conscientious decision made by men of character to become great leaders no matter their rank. Thank you guys for the feedback and nice words. I wish you all the best of health and safety. Thanks JJ for sharing and we appreciate your service! Keep up the good work! DD- So true. “Quality Leadership isn’t bestowed upon you when you pass your test for Captain” – Well Said! Thanks for sharing.